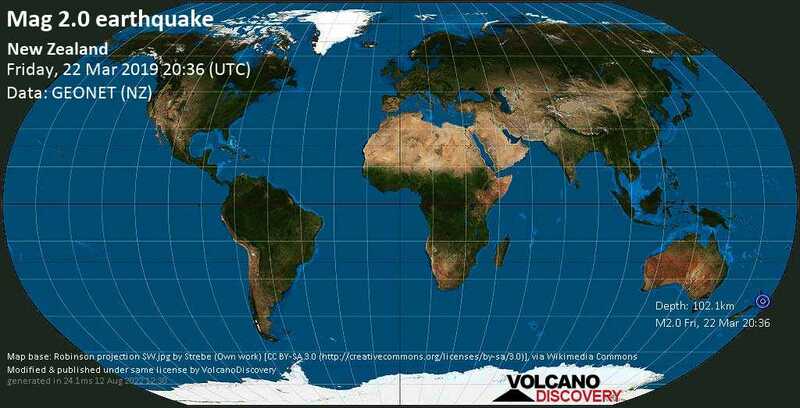 Mar 22 20:39: Magnitude recalculated from 1.8 to 2.0. Hypocenter depth recalculated from 90.3 to 105.3 km. Mar 22 20:40: Magnitude recalculated from 2.0 to 2.1. Mar 22 21:21: Magnitude recalculated from 2.1 to 2.0. Hypocenter depth recalculated from 105.3 to 102.1 km.